Since opening in August 2016, the Saluki Food Pantry has served more than 2,400 SIU students and their families. That kind of community service requires support and a lot of hard work. Recently, the food pantry assisted students after a fire at Evergreen Terrace by supplying food and toiletries to affected individuals. Much of the work at the food pantry is done by graduate assistant Shannon Denman, said Student Center Associate Director Kent Epplin. During the first two SIU Days of Giving, the Saluki Food Pantry has received $1,800 in donations. Most of those funds are used to pay overhead costs and fund the graduate assistant position. 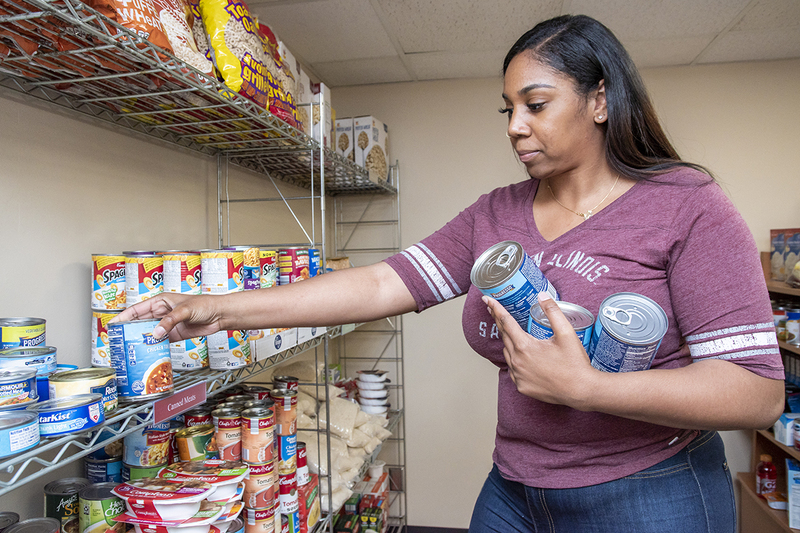 The food pantry works with students both on and off campus, and networks with Saluki Cares and other campus organizations to ensure students are aware of the available resources.